This is one of my "Military Designs" in honor of our special heros overseas. 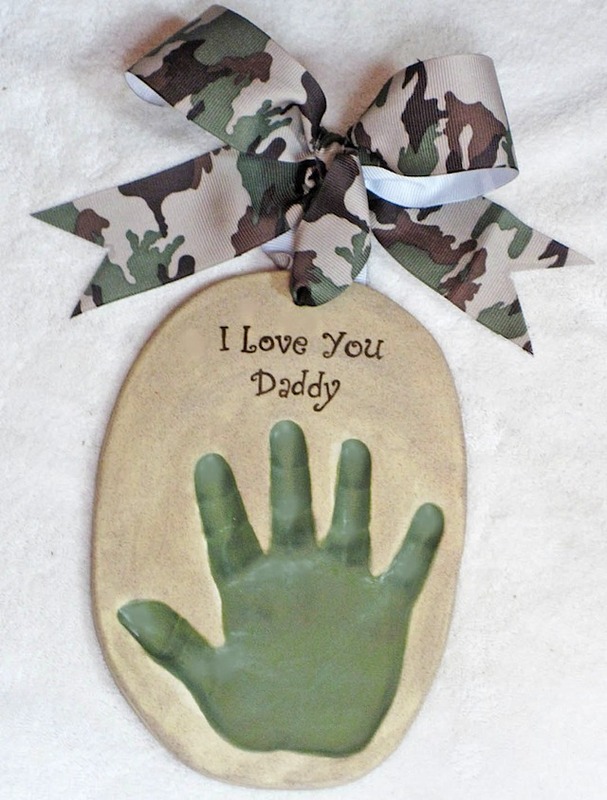 Hand or Foot impression ornaments are smaller and can easily be put inside a care package to your loved one. This is guaranteed to be one of the most special gifts mom or dad will receive while they are so far away. Choose any color under the "Design Elements" link below. *Ornament Prices are for Children aged 36 Months and younger. Children aged 37+ Months move to a "Plate Sized" Design because of the larger size and extra clay involved in creating the finished piece. This applies to Ornaments ONLY.